Our first branding is scheduled for tomorrow. A good sized rainstorm hit this evening, and there’s a good chance for more tomorrow. We’re unsure if branding will happen or not, wet weather and branding do not mix! However, chili is cooked, cookies made, relish tray washed and sliced, house was cleaned (and re-dirtied), new bed set up in the basement for Victoria and Matt, who arrived with twins and new baby Matthew in tow. Plates and bowls and spoons and cups and washbasins and coolers and water jugs and soap and towels and trashbags and whatever have all been cleaned, readied, and are awaiting the transport to the branding area!!! My sister came and helped for a bit… thanks so much! And everything kept getting put on hold as I continued to check those peeping eggs… and this! Heavenly Days, friend! Your energy amazes me! But how much fun besides work it will be with Victoria and Matt and their children there! We are driving 1,000 miles to see our daughter and family in OK Tues. and another 500 to see our son and family later in the week! Even though you work very hard and seem to enjoy it, sharing with many daily, you are blessed indeed to have family that close as they grow up . We are going to our granddaughters’s graduation in TX and have hardly realized she’s “all growed up!” Give Victoria a hug for me. Another very busy mother! It was in her genes I’m sure! Love to you all for a great weekend! 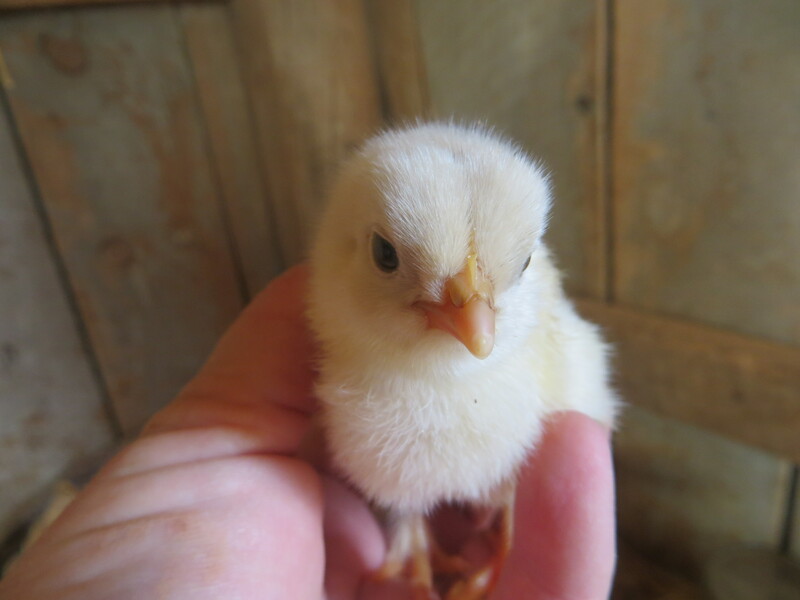 Fun ahead – Baby chicks, family, food and WORK…. ENJOY – You are very very busy…. Yay for you! Prep work has to be the hardest part! AND a baby! Keep us posted on how your hatch goes, please! Aww! Welcome to the world little one!